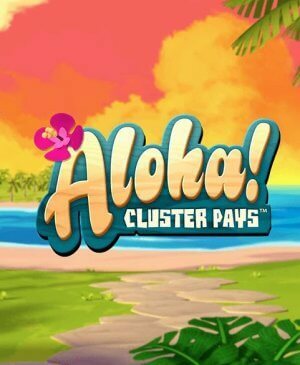 Aloha: Cluster Pays is easy to play. It has five reels and five rows but as a result of the bigger animations, it rarely happens there are 25 symbols on your reels. At the bottom of the slot, you can configure your total wager. You can do this by altering the coin value and the number of coins per pay line. 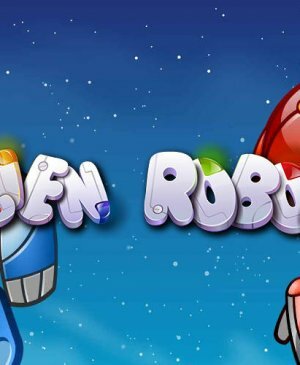 After having done this, you can start playing manually or automatically. If you want to play automatically, use to autospin function. Aloha: Cluster Pays does not use standard symbols and all animations fit within the theme. What's more, even all elements besides the animations and playing grid have been programmed in accordance with the vacation theme. Moreover, the statue on the right-hand side actively participates in giving you a great experience. The question-mark functions as the wild and can substitute for any other symbol except the scatter. Aloha: Cluster Pays is an exciting slot by Net Entertainment. This slot works slightly different from most other slots, making this one especially interesting. Namely, it’s relatively easy for wins to form as it doesn’t make use of pay lines. 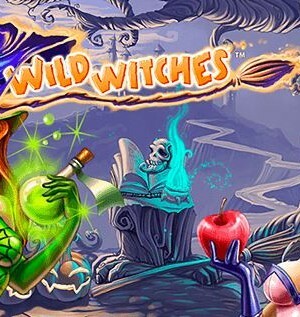 Additionally, it has a wild symbol, a potentially very lucrative special feature, and it even also has free spins. How to play Aloha: Cluster Pays? Aloha: Cluster Pays is easy to play. It has five reels and five rows but as a result of the bigger animations, it rarely happens there are 25 symbols on your reels. At the bottom of the slot, you can configure your total wager. You can do this by altering the coin value and the number of coins per pay line. After having done this, you can start playing manually or automatically. If you want to play automatically, use to autospin function. Aloha: Cluster Pays does not use standard symbols and all animations fit within the theme. What’s more, even all elements besides the animations and playing grid have been programmed in accordance with the vacation theme. Moreover, the statue on the right-hand side actively participates in giving you a great experience. The question-mark functions as the wild and can substitute for any other symbol except the scatter. Wins aren’t determined by pay lines but, as the name gives away already, you have to form clusters of symbols. If you have a few matching symbols adjacent to each other, you win regardless of, for example, row positions. There also is a random feature. This feature might become active after a successful spin. When it does, it re-spins all non-winning animations until no new wins form. You might know this feature from slots and when it strikes, it usually is very effective. Also the free spins on Aloha: Cluster Pays are special. When you scatter lands on your reels at least three times, you will enter free spins. Each time you have the least-paying symbols on your reels that don’t form a win, these symbols will be removed from the playing grid. With this, your chances of winning are much higher during the following spin. That’s why it’s so great that you can win additional free spins while you’re already spinning for free. The longer you get to spin for free, the bigger your wins will get because with the aforementioned system, the ratio of high-value symbols becomes larger and larger the longer you play. On Aloha: Cluster Pays, it’s clusters that determine whether you win or not, and it does not have pay lines. This method can lead to big wins, even when the combination doesn’t start on the first reel. 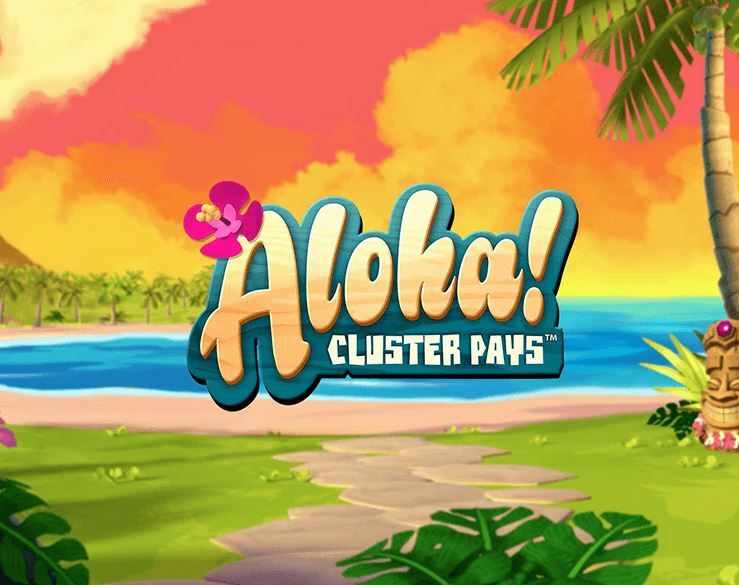 Aloha: Cluster Pays does not have a jackpot but you probably won’t miss one as the game has more than enough interesting and exciting elements to keep you enthralled. All in all, with Aloha: Cluster Pays, Netent has succeeded in producing another high-quality and very exciting slot.